How Does UltraCell Work So Well? 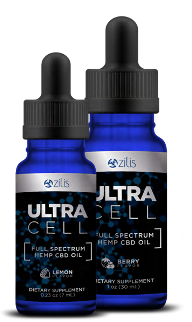 Daily we are taking calls or emails telling us the amazing results customers are seeing and feeling with UltraCell Full Spectrum Hemp CBD. Ever wonder why the impact is so dramatic? Surprisingly, a very good article describing The Endocannabinoid System (ECS) and the impact we van have on our ECS with things like UltraCell, exercise and diet. Is CBD Safe and does it work? 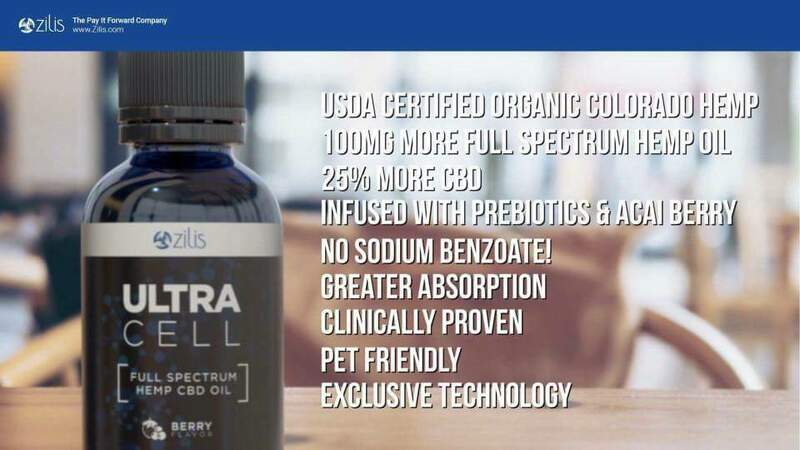 UltraCell Full Spectrum Hemp CBD Oil is the Gold Standard!!! There are so many CBD oils but they are not all created the same. I’m so proud to represent a product that is organic and actually works!!! All natural and sold at the lowest price allowed only from your best source www.7LiquidGold.com. We ship same day on all orders received before 4PM ET. We offer free regular mail shipping, or you can upgrade for even faster delivery. Our bodies are hardwired to need the goodness found in water soluble organic Hemp CBD. Make no mistake, they are NOT all created equal. Cannabidiol (CBD) is one of the 100+ cannabinoids found in Hemp and has been the subject of much research due to its many and varied medical applications. But it’s not only its therapeutic attributes that have sparked such widespread interest in CBD in recent years. The compound is also non-psychoactive (meaning it does not produce the ‘high’ associated with Marijuana use), making it a safe and effective option for people who may be concerned about the mind-altering effects of other cannabinoids such as THC. Products that are CBD dominant are referred to as CBD oils. However, the exact concentrations and ratio of CBD to THC can vary depending on the product and manufacturer. Regardless, CBD oils have been shown to offer a range of health benefits that could potentially improve the quality of life for people around the world. One of the most celebrated health benefits of CBD oil is its analgesic (pain relieving) effects. It’s thought that CBD interacts with receptors in the brain and immune system to reduce inflammation and alleviate pain. Some studies, such as an investigation published in the Journal of Experimental Medicine, found that CBD significantly reduces inflammation in mice and rats – but it’s not only rodents that experience these effects. A 2008 review identified that CBD offered effective pain relief without inducing adverse side effects in patients. Anti-movement disorders, including Seizures, occur when there’s a dramatic fluctuation of electrical activity in the brain. Over the years, a number of high-profile cases have raised awareness of CBD’s anti-seizure properties, but it’s only recently that science has been able to confirm this link. A randomized, double-blind, placebo-controlled trial published in The New England Journal of Medicine explored the effect of CBD on young adults with Dravet syndrome, a rare type of epilepsy with seizures that are often induced by fever. Those who received CBD saw their seizure frequency drop by a median of 38.9 percent. In closing, CBD is an incredibly valuable commodity that can be used to treat a range of health conditions. While this article is far from an exhaustive list, it does highlight just a few of the ways CBD can potentially benefit your health. For the greatest impact, seek the greatest product, UltraCell Full Spectrum Hemp CBD. Cannabis has been vilified and attacked for nearly a century by industry propaganda, ignorant religious beliefs and controlling government dictates. As more people learn what cannabis is and all that it entails, they can release their feelings of dissension, control, judgment and paranoia toward the plant and those who use it. As cannabis knowledge spreads, hemp and CBD are finally getting the recognition they deserve as powerful vessels of healing. The most popularly bred component of marijuana, tetrahydrocannabinol (THC), can be used for recreational purposes, to reduce pain, relieve stress and excite pleasure in the mind. There are other non-psychoactive components of cannabis that can be extracted and used for medicinal purposes too and this is where the new exciting and emerging marketplace is leading. Other compounds that have entered the research spotlight include: Cannabidiol (CBD), Cannabinol (CBN), Cannabichromene (CBC), Cannabigerol (CBG) and Tetrahydrocannabivarin (THCV) along with all of the other 400 compunds found naturally in the hemp plant. This is commonly referred to as Full Spectrum hemp Oil. As reported by Natural Blaze, some of the health problems that cannabis oil helps include: epilepsy, neuromuscular disorders, glaucoma, muscular schlerosis, Tourette's, amyotrophic lateral sclerosis (ALS) and chronic pain. What we have been witnessing with 7 Hemp CBD Oil is staggering when it comes to health challenges people are deriving relief. There are many components of medicinal hemp oil. When people speak of medicinal hemp, they are referring to the compounds that are found in the resin of the leaves, flowers and roots of the plant. Cannabis leaves and flowers are covered in trichomes, which are small glands of resinous oil. This resinous oil differs from strain to strain, and contains different ratios of cannabinoids, as well as over a hundred kinds of biologically active and aromatic terpenes. Cannabis is simply a flowering plant with fibrous stalks, and these stalks (hemp) can be used to make paper, rope, clothing and other building materials. Its seeds are an excellent food source that is full of healthy oils and fats for internal and external use. Hemp seed oil is growing in popularity for use in cosmetic products. Breeders now develop a strain of cannabis that is dominant in CBD. This strain is used to treat anxiety, nausea, convulsions and inflammation without any intoxicating effects. CBN is significant for stopping seizures and treating intraocular pressure. CBC provides a more calming, sedative experience. CBG utilizes these sedative effects and also possesses antimicrobial properties. THCV is used to treat metabolic disorders, including type-2 diabetes. Beyond these wonderful properties, hemp also contains a powerful surplus of flavonoids, terpenes and other biologically active compounds that help the body heal. 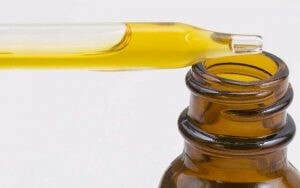 Hemp oil is a broad term that may refer to the extract of any part of the plant. CBD oil is a specific, non-psychoactive cannabis oil that is becoming popular for treating seizures. What is more dynamic is when you introduce Full Spectrum hemp Oil to the human body and let all of the glorious compounds work together to give the body the entourage effect of everything working together to bring balance. With greater understanding of the properties of cannabis, one day people everywhere will be able to access an integral component of healing that is missing in their lives. ​We now have scientific evidence that cannabidiol (CBD) could be an effective replacement for opioids addiction, as well as useful in treating pain. CBD blocks the reward of opioids, and may be used in treating those addicted to them by blocking their rewarding effects, according to a new medical study. The study was conducted by University of Mississippi researchers and published in the journal Planta Medica. The finding that cannabidiol blocks opioid reward suggests that this compound may be useful in addiction treatment settings. A Los Angeles-based addiction treatment center named High Sobriety allows opioid-addicted patients to use cannabis to help wean themselves off hard drugs, reports Jane Street. Cannabis can, in many scenarios, satisfy the same ailments – insomnia, pain, anxiety – that opioids can. Many pain patients, in fact, say they prefer cannabis to opiate painkillers. A study of almost 3,000 medical marijuana patients showed that 97 percent said cannabis could help them decrease their use of opioids. Another 80 percent said cannabis, by itself, was more effective than opioid painkillers and marijuana together. An overwhelming 92 percent said they preferred just cannabis to treat their pain. The dreadful burden of substance-use disorder worldwide, combined with the clear need for new medication in the addiction field, justifies the requirement of further studies to evaluate the potential of CBD as a new intervention for addictive behaviors. With about upwards of 19,000 Americans dying of opioid overdoses each year – and with a four-fold increase in opioid prescriptions since 1999 – we definitely need some help in dealing with this crisis. A 2014 study found that states with medical marijuana laws have 25 percent fewer deaths fro opioid overdoses, compared to states without medical cannabis. Since CBD interacts with the same neurological systems as opioids, scientists speculate that it can help dissolve the associations of reward with opioids, through interacting with the serotonin system, reports Leafly. Early research has shown that CBD has shown remarkable potential to reduce drug-seeking behavior, diminish withdrawal symptoms, and limit cravings. So many in the medical community are turning to the best organic Hemp CBD Oil available anywhere. Pur 7 Hemp CBD Oil is now being carried in medical practices across the country and their patients are getting amazing results for just about every condition you can imagine. One of the biggest reasons healthcare professionals are turning to 7 is because not only is it full spectrum hemp CBD oil, but the product has been made water soluble. Instead of only getting 6-10% absorption into the body, 7 actually gets a proven 85% absorption. This makes 7 the most cost effective and the most bio-available product available anywhere. ​How can you get this for your practice? CLICK HERE or contact Paul Crouse (Paul@7LiquidGold.com) for more information. ​The legalization of marijuana in many States has inspired deeper research into the benefits of “weed” and what is in it that gives us such huge health benefits. While there are still people who frown upon the consumption of the marijuana plant, the majority are more interested in the health benefits that it can provide. Here, we will take a closer look at the chemical compounds that makes up Full Spectrum Hemp Oil which includes CBD Oil that so many are hearing about. There are over 400 compounds in this amazing plant and without the THC everyone can derive benefit with no side effects and without intoxication. Doctors and the general public are deriving massive health improvement and is now one of the most popular treatment alternatives in the field of medicine that has EVER been realized. What is this Hemp CBD oil everyone is talking about? It is important to note that marijuana is the female plant and it produces the psychotropic drug THC. Hemp CBD Oil, comes from the male plant known as Hemp. When we talk about the health benefits of Hemp CBD Oil and marijuana, it is best to start clearing up a few things. First, the high people experience when smoking, vaping, or ingesting marijuana comes from the chemical THC. This cannabinoid is well known for its psychoactive effects. Of the 400 compounds in a either plant, only THC causes the “high” associated with ingesting the herb. There is a long list of medicinal functions associated with the use of Hemp CBD products. 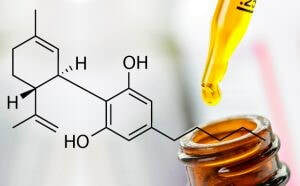 Due to the increasing demand for Hemp CBD, the pharmaceutical industry has been relentless in its pursuit of discovering other possible healing benefits of Hemp CBD, and the delivery of quality Hemp CBD products in various forms. All cannabinoids are primarily extracted from the hemp plant or marijuana plant. The best is when you extract all of the Full Spectrum hemp oil because when all of the compounds work together, you get an amazing synergistic or as it is referred to, the entourage effect. Hemp CBD oil for sale comes from the hemp plant as they feature higher cannabinoid concentrations and low or zero THC levels. Due to all of the amazing health benefits people receive from full spectrum hemp CBD oil, it is the perfect dietary supplement for the young and old. Why is Hemp CBD Oil unique? Industrial hemp is abundant in the United States and all across the globe. Hemp is considered “legal” as hemp is versatile, being that it is also used in the production of textiles, being used as an important building material, and are being marketed as a dietary supplement. During the extraction process, high levels of cannabinoids are produced as well as other nutrients including omega fatty acids, terpenes, flavonoids, vitamins, minerals, and even essential amino acids. Unlike marijuana oil that can only be sold in states where marijuana was legalized, this amazing oil can be sold and purchased across all 50 states. The world is now becoming more accepting of Hemp CBD oil as a nutritional supplement. The health potential of Hemp CBD oil has significantly changed the marketplace. People are now aware that this amazing plant only delivers positive benefits without the high of marijuana and without any other side effects. Is Hemp CBD Even Legal? ​Hemp CBD is widely misunderstood despite the numerous research and clinical studies (Over 20,000 and counting) pointing to its efficacy and high safety level. Hemp CBD is legal to be sold and manufactured in all 50 states. However, some States have or are in the process of adopting laws to limit certain properties. For example, Indiana passed a law that a product cannot be more than 5% CBD by volume. If a product is truly oil based, the chances of it having any effectiveness are slim. But if you keep reading, we can share with you a proven product made water soluble and takes far less of the CBD to have effectiveness. Cannabis indica is a type of marijuana strain with higher THC concentration than CBD, thus they are being used for recreational purposes. Hemp CBD Oil or cannabis Sativa is a collective term to help plant strains with small to no THC concentration and high cannabinoid levels. You may only purchase and use cannabis Indcia in States that passed legalization for medical and recreational marijuana. 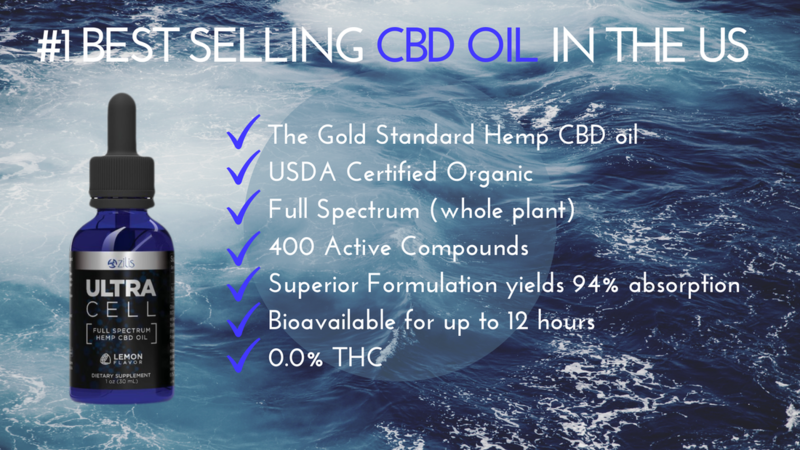 Hemp CBD oil for sale that is sourced from Cannabis Sativa is considered legal wherever you are in the United States, except as previously mentioned. Will the use of Hemp CBD result in a positive drug test for marijuana? One concern that many people have when using Hemp CBD is testing positive for marijuana or THC during routine drug examinations for employment reasons. Drug testing is mandatory among federal employees, and although not a requirement among private sector employees, an increasing number of companies are implementing drug screening as a requirement for employment and in order to maintain employment. As THC is linked to psychoactivity and feelings of euphoria, most people are deemed to undergo drug testing to identify the presence of marijuana in the urine. The Substance Abused and Mental Health Services Administration or SAMHSA has determined the cutoff level for positive urine screen at 50ng/ml immunoassay. For those who appear to have immunoassay results >50 ng/ml level, a follow-up Gas Chromatography/Mass Spectrometry (GC/MS) test is implemented to verify positive traces of THC in the urine. The cut-off level for the GC/MS screening is set at 15 ng/ml and detects mainly the main metabolite found in THC. The only way to know you are not ingesting Hemp CBD oil that has THC in it, is to know you are dealing with a manufacture who is insuring every batch is completely free of THC. There are some products who disclose higher levels of THC than are even allowed in many States. Simply know to look and ask. Keep reading and we will share with you a product that insures zero THC for your peace of mind. The correct dosage is an important aspect of learning to insure you derive the health benefits you are seeking. Think about this, when you take an aspirin or ibuprofen, you may take 2 or 3 tablets while someone who seems to be the same age, height and weight may take 4 or 5 tablets to achieve the same result. Not all Hemp CBD or just CBD products are created equal.. If a product is actually Oil based it will only absorb into the body at 6-10%. 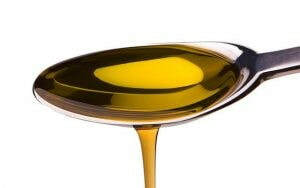 Therefore, most people taking such type of product would need to ingest 30-50mg of quality oil. However, we will tell you about a product that has been made water soluble increasing absorption to a proven 85%. With this product, you only need to take 3.3-9.9 of CBD. Comparatively, getting the best of the best doesn’t have to cost you an arm and a leg. • Dosing is on a case-on-case basis. Everyone is different. As you may experience positive effects with one dose of product, there are those who need to increase their serving size to achieve the desired effect. By rule, you need to start with the smallest serving size of your preferred oil variant. Then increase in dosage should be done in a gradual manner until you feel the desired outcome. • The concentration of oil varies across products and manufacturers. There are some that feature a minimum, standard dose of 1 mg per dose, while some start at 100 mg per dose. As a standard unit of measurement is used, it becomes relatively easy for consumers to identify the ideal dosage for their needs. • Your dosage will largely depend on your medical condition. The duration will also be based on the severity of symptoms. • If you want to experience the full range of therapeutic effects from Hemp CBD oil, it is recommended to purchase the water soluble product I will introduce you to shortly. • Hemp CBD is completely safe. There are no reports of overdose when you use Hemp CBD. Although there is no established lethal dose for Hemp CBD, users are still encouraged to take the right amount of dosage. You need to find that sweet spot for you so you can experience the desired results. ​At present, researchers and medical power and efficacy of Hemp and all cannabinoids. It has the potential to become a potent product that claims to deliver a host of therapeutic benefits. Despite this, the process of extraction, manufacturing, formulation, and administration to its many users remains questionable. While hemp is identified as a dietary supplement by the FDA, the organization is in essence not authorized to assess dietary supplement products for safety and efficacy before they are released and sold to the public. Therefore, beware of crazy claims, make sure you know what they are allowing in their products and know it works for you. ​Without a doubt, 7 Hemp CBD Oil, bottled by PurHealthRX, is the #1 cannabinoid product available anywhere in the World – Bottom-line! It is organic, clean, cannabinoid rich, Full Spectrum Hemp CBD Oil. How has 7 been made water soluble? The human body is over 60% water. Water helps to regulate our temperature, flush toxins and waste, lubricate joints, and supply nutrients and vitamins via absorption to every cell, which is critical to our health and well-being. Absorption happens during the digestive process primarily in the intestines which are covered with a fine water film. Only water soluble substances that can permeate this film are directly absorbed or “bioavailable.” Fat soluble substances cannot permeate this water film and have to be pre-treated, a process that takes time and occurs indirectly in the intestine by the building of micelles by means of gall salts. The micelles that we create using PurHealthRX's patented technology are capable of mimicking the way the human body makes oil-based ingredients bioavailable. With an absorption rate of 85%, 7 Hemp CBD oil has a significantly higher effective absorption rate than any other leading brands of CBD oils. 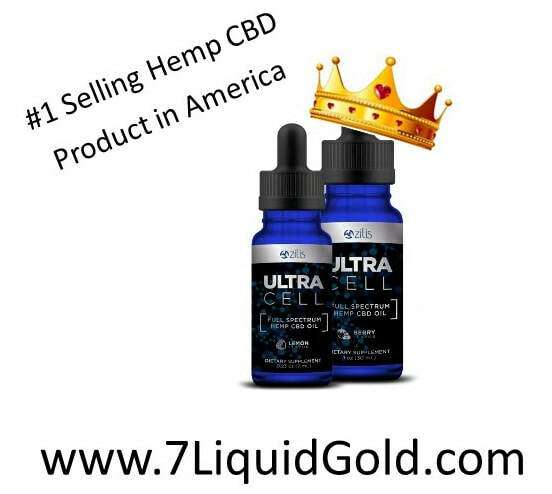 How do you get 7 Hemp CBD Oil? Order 7 today and find out why so many people are thrilled about the results they’re seeing. Whether it’s relief from pain and anxiety to improved mental clarity, Hemp CBD oil has the power to change your life for the better. Shop NOW! For more information or to learn how you can buy or even get involved in this amazing and emerging market, please feel free to contact me directly! In fact, growing hemp is often associated with the birth of agriculture 12,000 to 10,000 years ago. According to astronomer Carl Sagan, hemp may have been the world’s first agricultural crop, leading to the development of civilization itself. Hemp was probably the earliest plant cultivated for textile fiber. Archaeologists found a remnant of hemp cloth in ancient Mesopotamia (currently Iran and Iraq) which dates back to 8,000 BC. Hemp is also believed to be the oldest example of human industry. In the Lu Shi, a Chinese work of the Sung dynasty (500 AD), we find reference to the Emperor Shen Nung (28th century BC) who taught his people to cultivate hemp for cloth. It is believed that hemp made it to Europe in approximately 1,200 BC. From there, it spread throughout the ancient world. Hemp plants are exceptionally versatile. Both the seeds and oil were used for food in China as early as 6,000 BC. Two thousand years later, in 4,000 BC, there is evidence of textiles made from hemp used in both China and Turkestan. In 850, the Vikings transported hemp rope and seeds to Iceland, and by the year 900, Arabs were learning techniques for making paper from hemp. By 1000 AD, the Italians were using ropes made of hemp on their sailing ships. Stories about the health properties of hemp mention Greek philosophers, Herodotus, Napoleon and other legendary figures. The physician for Nero’s army included hemp in his medical inventory. In 1563, the health benefits of were discussed in a report by Portuguese physician Garcia da Orta. Archaeological finds suggest that hemp was likely one of the first agricultural crops planted by early man.In 1533, England’s King Henry VIII actually fined farmers if they did not raise hemp for industrial use. Less than one hundred years later, settlers in Jamestown, Virginia began growing hemp plants for its unusually strong fiber. Once the plant demonstrated its usefulness, it became illegal not to grow hemp in Virginia. Having a wide array of uses and benefits, the influence of the hemp plant seems to have been global. Today, Forbes magazine predicts a 700% increase in this industry in the US alone. With awareness and education and the obvious results people are seeing, this is probably selling it short.What is the Science? According to PubMed, a cannabinoid is a class of diverse chemical compounds that act on cannabinoid receptors in cells that alter neurotransmitter release in the brain. There are over 100 known cannabinoids, including CBD, CBDA, CBG, CBD and many others. These powerful chemical compounds are found in both the female Cannabis Sativa plant (a.k.a. marijuana) and the male Cannabis Sativa plant (a.k.a. hemp). While both marijuana and hemp contain cannabinoids, hemp oil provides the health benefits that cannabinoids bring without any of the negatives that come from THC. Unfortunately, it was hemp’s similarity in appearance to marijuana proved to be disastrous for the American hemp farmer, and ultimately for the health of us all. Although industrial hemp and the marijuana plant are both members of the Cannabis Sativa species, they each have distinct biochemical compositions. Industrial hemp is naturally high in CBD and low in tetrahydrocannabinols (THC), whereas most marijuana is the opposite, with high levels of THC and low CBD. While THC is classified as a psychotropic drug and is strictly regulated, CBD is the non-psychoactive part of the plant, is safe and legal in all 50 states. Cannabinoids regulate the endocannabinoid system (ECS), which is responsible for important functions such as sleep and relaxation, inflammatory responses and cognitive ability. Our bodies have two types of cannabinoid receptors, CB1 and CB2, which are most abundant in the brain and the immune system, respectively. The cannabinoids naturally found in hemp oil interact with the body’s cannabinoid receptors to aid with relief and enhance our feelings of calm and well-being. While cannabidiol has known health benefits, the reality is that a CBD isolate product cannot benefit the body like our full spectrum, cannabinoid rich hemp oil. “7” contains over 400 biologically active compounds. This includes CBD, but also a host of other cannabinoids such as CBG, CBDA, CBN and CBC. In addition to a rich cannabinoid profile, “7” also contains a host of flavonoids, terpenes, vitamins, fatty acids and minerals. By encompassing all aspects of the hemp plant in its natural state, full spectrum hemp oil creates the “entourage” effect. This means the compounds work together to create a synergistic effect. Truly, when it comes to full spectrum hemp oil, the “sum of the whole is greater than the parts.” 7 Hemp CBD Oil makes the power of the hemp plant fully available, the way that nature intended. Don’t be fooled by other “CBD” oils that extract only one aspect of this miracle plant. Discover the power of full spectrum hemp oil for your family today! The challenge, even with full spectrum hemp oil is just that. Hemp oil is lipophilic, meaning it is oil based. The issue is that absorption occurs primarily in the intestine. Our intestinal cells are covered in a fine water film and as we all know, “oil and water don’t mix”. Just as placing oil and water into a cup, the two substances will naturally separate. This same phenomenon happens inside our bodies, where only water-soluble substances can permeate the intestinal cells. This means that the majority of fat-soluble substances are excreted. In fact, it’s widely known that oral bioavailability of ingestible oil based supplements is only around 6%. This means that over 90% of the oil-based supplements you buy may have very little benefit at all. Using Purzorb™ technology and a proprietary process called micellization, the oil-based ingredients in 7 Hemp CBD Oil become water-soluble. The net result of solubilizing the oil is up to 85 percent absorption. This powerful effect delivers far superior bioavailability and a much faster onset of action. In laboratory studies, Purzorb™ formulated Hemp CBD Oil has demonstrated significantly more bioavailability than unformulated hemp. This means that Purzorb™ Hemp CBD Oil can get the same effect, quicker than that of a much lower dose of traditional CBD oil based products. Let’s face it, the overall lack of good health in America is shocking. Americans are the biggest consumer of weight loss products in the world, yet we are the international leader in obesity. More than 70% of adults are diagnosed with a chronic disease. Treatment of the seven most common conditions costs the U.S. economy more than $1 trillion annually. Columbia University researchers project up to $66 billion of added heath care costs each year between now and 2030. We don’t need a doctor to tell us, when we feel bad it's hard to lead a happy and more fulfilled life. The 7 for 7 Challenge is a seven-day health experience where you set your own goals. To begin, get at least one seven-serving mini bottle of 7 Hemp CBD Oil from the person that shared the challenge with you! For seven consecutive days, simply use 7 Hemp CBD Oil. That’s all it takes! Unlike other health challenges that require dramatic changes in your routine, we actually recommend no lifestyle change during the seven-day challenge. This way you will know exactly how the product impacts you! We recommend those with moderate health goals use the product once a day. Those with greater goals use two servings a day. Finally, those with serious health goals take three servings a day. The key during the challenge is finding the amount of 7 Hemp CBD Oil that your body needs. Seven Days to a New You! Sound too good to be true? We agree! And, that is exactly why we created the seven-day challenge. Imagine feeling better, having more energy, better mental focus, support for joints and much, much more. Believe it or not, thousands of people just like you are experiencing the benefit of incorporating full-spectrum hemp oil into their daily lives. This is what our simple seven-day challenge is all about! There are many CBD oil brands on the market, but none compare to Purseven. We’ve worked long and hard to create a proprietary formula of CBD oil that is as effective as it is fast-acting. Using Purzorb™ technology, our products boast an 85% absorption rate in the GI tract and 15 minute onset-of-action — numbers that no one else even comes close to. Before we get into the science behind Purseven Hemp CBD Oil, here’s a quick breakdown of the differences between marijuana and hemp, which both come from cannabis. With more states legalizing marijuana for medicinal and recreational use, cannabis and CBD oil are gaining recognition for their uses in helping to treat things like pain management, anxiety, and seizures. While coverage and exposure are great, it can also allow for misconceptions, confusion and myths to perpetuate. Hemp and marijuana are both derived from the cannabis sativa plant, but hemp comes from the male pant, which is high in CBD and low in THC, while marijuana comes from the female plant, which is just the opposite. Even though they both come from cannabis, CBD oil and marijuana are completely different products, and as long as they meet Federal regulations, products containing CBD oil can be sold in all 50 states. So what’s so great about CBD? It may be the single most important cannabinoid ever discovered for its ability to manage the endocannabinoid system (ECS), which is is responsible for effects throughout the entire body including sleep and relaxation, inflammatory responses and cognitive function. Cannabinoids are phytocannabinoids which are natural chemical compounds secreted by the cannabis flower. Included in among over 66 classified cannabinoids identified in cannabis are the two main active, most recognized and studied compounds CBD (cannabidiol) and THC (delta-9-tetrahydrocannabinol). Unlike TCH, CBD is devoid of psychoactive effects and seems to have a natural protection against the high that comes from marijuana. While all cannabinoids have been proven to provide various benefits, CBD has shown to be the most effective in helping those dealing with issues relating to pain, anti-inflammatory effects, anti-anxiety, memory, appetite suppression, movement disorders including seizures, and ADHD to name a few. WHY IS CBD SUCH A POWERFUL CANNABINOID? While research is ongoing for a number of uses, early results show that products using CBD, including CBD oil, may be able to positively impact a number of common health ailments including chronic pain, inflammation, stomach problems, anxiety, and even sleep disorders. Pur 7 uses a full spectrum hemp CBD oil which is not a distillate, isolate or chemical version, and in addition to CBD contains other natural cannabinoids that together create an entourage effect that helps activate the effects of CBD in the body. To put it simply, CBD oil has the power to affect the health of thousands of individuals without any of the psychoactive or other side effects found in medical marijuana. It is also non-addictive. Which brings us to our next point. DID YOU KNOW THAT 54% OF ALL CANNABIS CONSUMERS PREFER NON-SMOKE OR NON-VAPOR PRODUCTS? The most commonly known forms of consuming cannabis-based products is smoking or vaping, but there are other, more preferable and healthier ways. Ingesting Purseven CBD oil is as easy as filling the dropper and orally ingesting it, or mixing it with your favorite drink. From there our Purzorb Micelle technology does the rest of the work, making the peak effect of the CBD oil quicker and the duration longer. The micelles that we create using PurhealthRX's patented technology are capable of mimicking the way the human body makes oil-based ingredients bioavailable. With an absorption rate of 85%, Purseven CBD oil has a significantly higher effective absorption rate than other leading brands of CBD oils. Order Purseven today and find out why so many people are thrilled about the results they’re seeing. Whether it’s relief from pain and anxiety to improved mental clarity, CBD oil has the power to change your life for the better. Shop NOW!